Bone Broth | Eat Meat. Drink Water. Dowager: When I was a girl – if I was ill – my mother’s maid would make me the most delicious chicken broth. Servant: There’s nothing better than chicken broth as a pick-me-up. Many long time practitioners of Zero Carb eating have never included bone broth in their diet, so a successful Zero Carb diet clearly does not depend on it. However, while bone broth may not be a necessary component of a Zero Carb lifestyle, it certainly has the potential to compliment it. Before exploring the possible benefits bone broth offers which are detailed below, please read my article Can Bone Broth Be Used on a Zero Carb Diet? where I explain why many Zero Carb vets do not have much enthusiasm for this interesting traditional food. Nourishing Broth, a new book by Sally Fallon Morell and Kaayla Daniel (of the Weston A. 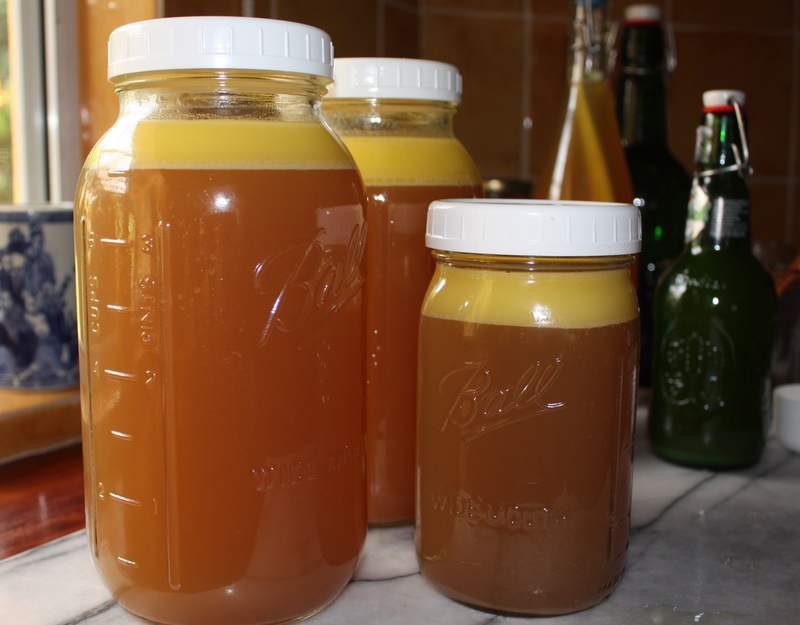 Price Foundation) explores the nutrients present in bone broth in great detail. Morell and Daniel describe collagen as “the glue that holds the body together.” In fact, collagen is so important that is comprises about one-third of body’s total protein. It strengthens the tendons that hold muscles, bones, and ligaments together. It provides firmness, suppleness, and elasticity to the skin. It helps to keep the joints lubricated and cushioned. It is essential to the proper functioning of the immune system, helping to protect against pathogenic organisms, environmental toxins, and cancerous growths. My son- in- law was in a horrific truck accident and broke his back in two places. He had to wear a brace, and the projected time for healing was at least three months. He went back for a check up and X- rays at two months and they were amazed. His back was almost totally healed. It really was amazing. My daughter was feeding him bone broth all day long! She made it all herself: chicken broth, beef broth, and venison broth. She made soups and stews, cooked grains in broth, and otherwise got broth into him as often as possible. The medical professionals were astounded with how quickly he healed. It was truly amazing. We attribute his strong healing to the broth. By 1994 my knee problems had increased to where the discomfort kept me from riding a bike even a few feet. Looking at both knees through an arthroscope, you could see the usual cartilage covering was gone and the bare bone exposed. My orthopedic surgeon did some “housecleaning,” by which I mean he trimmed the unstable articular cartilage that was about to fall off around the edges of the exposed bone. The hope was the body’s healing response would result in a layer of scar tissue. While that’s a poor substitute for cartilage, it is better than nothing. My symptoms improved, but I always had fluid in the knee joints, indicating they were not as well as I could have hoped. Then about two years ago my knee symptoms started improving further and instead of always having fluid I now seldom have it. When I asked the surgeon if I should thank him for this unexpected recent improvement, he said not at all. He said what he did could at best temporarily lessen symptoms and delay the need for artificial knee joints by months or a few years. What, then, might have caused the change? One of my farm activities is raising chickens on pasture, processing, and direct- marketing them. For years we gave away the chicken feet for free, but two years ago we began making very thick chicken foot broth for ourselves and adding this to all our soups and stews. Our broth consumption also greatly increased when we began marketing some of our pastured cows as ground beef, thus keeping most of the skeleton for ourselves. I am physically active most all day every day caring for 470 acres with cattle herd, sheep flock, laying hens, and the few broilers for our extended family by myself. I heat two homes and one large farm building entirely with the wood I cut and haul. I have essentially no knee symptoms. I do such things as jump over the side of a three- quarter- ton truck to the ground below without bother but then lecture myself to be thankful for how well the knees are doing and not flaunt it by such abuse. Bone broth is also rich in certain health supporting amino acids, especially glycine and glutamine. Daniel and Morell delineate the benificial aspects of these two foundational building blocks of protein. These are just a few of the health-maintainance and health-recovery components found in bone broth. 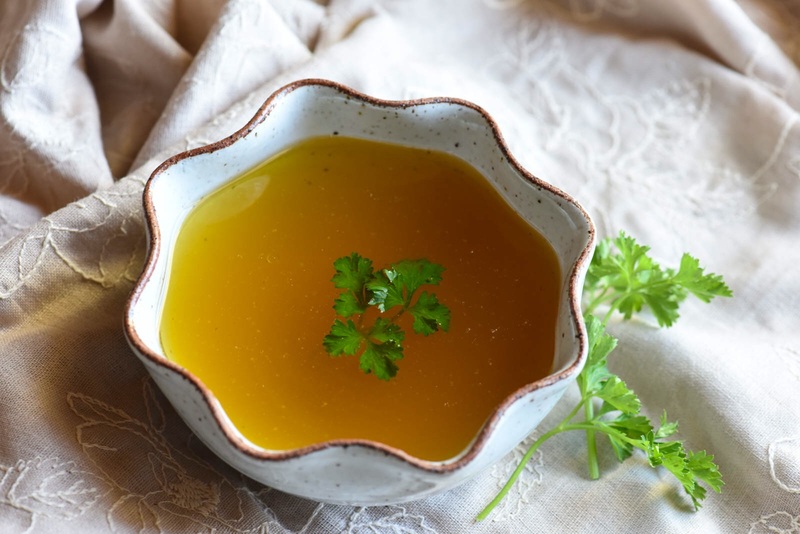 In addition to highlighting the individual nutrients present in bone broth, Daniel and Morell discuss many different health problems – from leaky gut to arthritis to cancer – that the components of bone broth have been shown to help. So, while meat and water is clearly sufficient to satisfy basic human nutritional needs, as many long term Zero Carb veterans – most of whom do not consume bone broth on a regular basis – have demonstrated, bone broth certainly provides an extra nutritional boost which may be benefitial to both short-term healing as well as long-term wellness. I personally love bone broth and drink it every day. It does require some effort to make, but – for me – the potential health benefits are well worth a little extra work. A good friend of mine recent told me that his Italian grandmother used to call bone broth, “The Elixir of Life,” and I can completely understand why. Do you have an advice on the gelling part? What has worked for you? You just need to make sure you have enough bones with cartilage on them. It is the concentration of the cartilage that makes it gel or not. 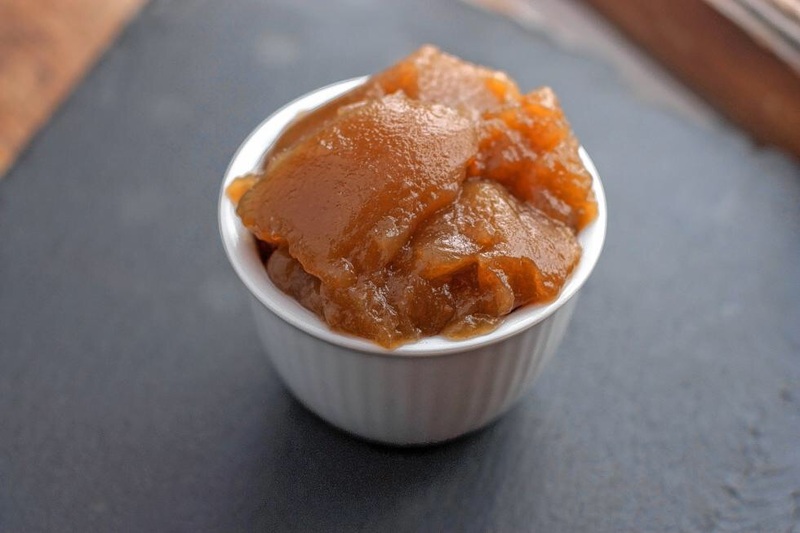 If it does not gel after refrigerating it over night, the. You need to simmer it on low and evaporate off some of the water. I started taking bone broth 7 days ago. I have also lost an incredible amount of bloat. I knew I had been retaining water all over my body; however my skin looks awful. I look as if I lost 10 pounds in a week, my skin in falling off my bones. I’m glad I started the broth; obviously something was wrong with me. I found out about SIBO by accident and tried the broth because of this. I may have saved my life with bone broth. Were you diagnosed with anything prior to you taking bone broth? Hi Lisa, you can read my story under the “About Me” link at the top of my blog. I am so glad you are benefitting from the bone broth. Late to the party but: what I do with chicken bones is to get a pair of pliers and crack the bones. This helps to free the marrow. You don’t have to overdo it — a small crack is enough. Then in to the crock pot or pressure cooker! Your broth should definitely jell — also make sure you’re not using too much water in the ratio to your bones/meat. 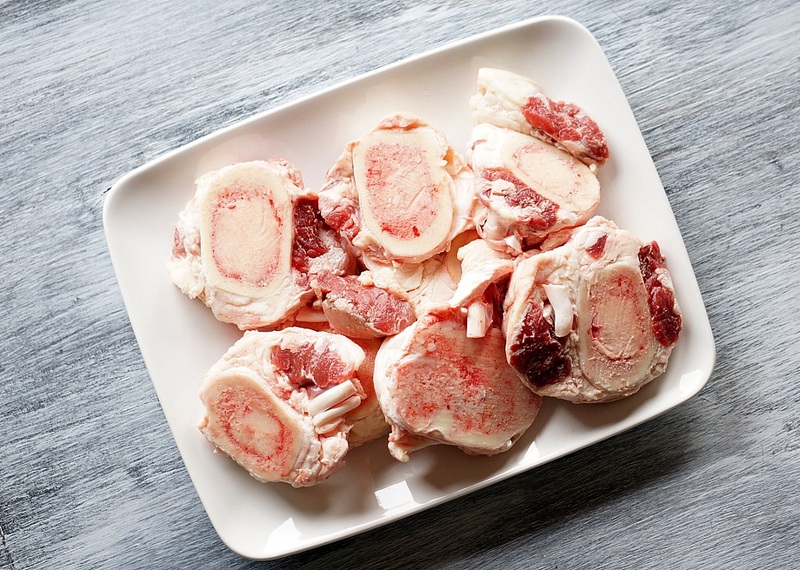 If you use beef knuckle bones (not marrow bones), it will also become very thick. I have found a few Bone Broth reciepes but all contain veggies. How do you make yours? Sorry if I missed it in the above article. The last picture I posted has my basic recipe on the photo. But basically, I just fill my crock pot 3/4 full of bones (pork neck bones, beef joint bones, turkey wings or backs) and then cover with water. I let it cook for 24-48 hours depending on the size of the animal. It takes longer for the cartilage on beef bones to dissolve, than it does for smaller animals like turkey. Then I strain the resulting broth and refrigerate. After the fat has hardened, I remove it and save it for cooking purposes. I drink the broth by itself, but it can be used to make sauces and soups as well. How can you tell when it’s had enough time in the crockpot (24-48 hours)? It depends on what type of bones are used. Beef bones take 2 days, while chicken bones take only one day or less. When the bones look clean and have no atteched cartilage, then it is done. About 1 quart on average. Dear Esmee, I’ve just seen this recipe and wanted to say that i love bone broth. But I’ve got a question for you. Do you add water constantly while cooking this? Because the water reduces slowly while cooking process and it takes a lot of time to cook it. Sura, I cook in a crock pot and it depends on how long I let it cook. If I let it go longer than 24 hours, as in the case of beef bone, I will top it off once every 24 hours. if I was cooking in a regular stock pot on the stove, then I would likely need to add water more often. Love your wonderfully detailed site, Esmee. What a wonderful resource for new and veteran ZCers. We cook our ruminant and pork bones for 72 hours with great results. Our crock pot with a locking lid allows us to put it out in the shed, so our dog isn’t forever drooling! Katie, I do not use vinegar because it is high in histamines. I don’t use lemon because it is a well-known histamine producer once consumed. So, no, I do not use anything acidic or sour when making my broth. It seems to still be very good. Esme, Is it okay to use cooked and raw bones? The only bones I have are already cooked. Thank you SO Much for this Information! I have honestly never heard of this! Can’t wait to try this!!!! Hi Andrea, I am extremely histamine intolerant, but I am able to drink bone broth. In Nourishing Broth by Kaayla Daniel, it says that some people have trouble metabolizing glutamine which is present in large amounts in bone broth. It gets turned into glutamate and can affect people the same way as MSG. So, I am not convinced that bone broth has histamines. However, I can tell you that I have to be extremely careful about what meat I eat. I must buy meat that has not been aged at all. This is not easy to do. All meats sold in U.S. supermarkets is aged to some degree before it ever reaches the retail shelf. I have had to find special butcher shops who have access to unaged meat. I have found one source of pork that I get two days after slaughter. I buy a large amount and freeze it immediately. I also found one source of veal that is frozen immediately after slaughter and then sold in the frozen state. I think lamb from a local grower would be a another possibility, but I have not pursued that yet. If you eat meat and feel bad, I can almost guarantee that there are histamines in the meat you ate. Yes, the 15-20 days in the fridge will produce significant levels of histamines. Hi, was wanting to know if it was a good idea to blend in the pieces of fat after cooking rather than discarding them. I realize this would make a fattier broth but if palatable is it okay or are their plenty of nutrients without doing this. There is nothing bad about the fat, but you don’t want to use it as an appetite suppressant in place of a meal. It is important to eat meat when hungry. I use broth the same way I use water, as a fluid and electrolyte replacement. Thank you for your prompt reply. Thanks for the excellent information provided on this page. I shop (they look a lot like one of the pictures in this article) and wondered if they would be good to make bone broth with. Have you ever used them? They made me think of the ox tail soup I used to eat at a cafeteria when I lived in Germany as a teenager. It was so delicious! They make excellent bone broth. In Nourishing Broth, the authors tell the story of a woman who had a chronic urinary tract infection for years, nothing would get rid of it. She accidentally discovered that ox-tail soup got rid of it. She had to make a big pot every three weeks to keep it from returning, but it worked. she would eat it for several days until it was all gone, then make another batch in a few weeks. That’s very interesting and good to know about the woman with the UTI’s! I’m so excited that oxtails make good bone broth. I’m going to start with that. Thank you so much for your reply.. Very interesting to read all of this valuable information.I have now made 3 batches of bone broth and each batch once set has a sludge on the bottom what is this and do I consume it? Thanks. The “sludge” is just tiny particles of meat and bone. You can eat it or not. You can filter it out with a fine strainer. Do you use a crock pot lined with teflon or without? I’ve seen much negative information about teflon but don’t remember seeing one for sale without the teflon lining. No, Julie, I do not use anything with teflon coating. I use an enamel stoneware crockpot, or a stainless steal pressure cooker for my bone broth. does it vary the nutritional benefits if one drinks it cold or warm or hot? No, it should not. I eat it both ways. I have noticed after a cup of bone broth, my urine is clear and somewhat oily and wondered if this was a problem? I do it both ways and do not notice any difference. Pressure cooking takes 2-3 hours depending on the bones. Beef bones take longer, chicken and turkey take shorter. also do you think it’s okay to freeze the broth? Do the bones have to come from organic chicken or beef? No, buy what you can afford. If you can support grass-fed growers, that is wonderful, but many people cannot. Make the best decision you can from wherever you stand. 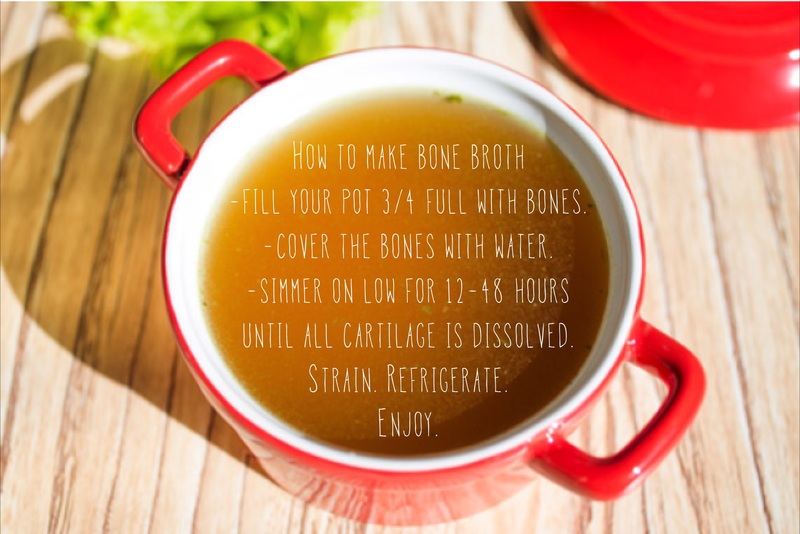 What a fantastic, well put together post on bone broth. Thank you. I am linking back to this page so that readers of my blog can come and read this. It’s very informative. How long can I store bone broth in the refrigerator before it goes bad? I would guess about 4-7 days. I always drink it up before then. You can also bring it to a boil each day and sterilize it that way. Or you can pour it into ice cube trays and freeze it. Great article, thanks. I am sorry to say that I can’t tolerate bone broth . I have sibo and the glycosaminoglycans in the broth upset my stomach and make me light headed. I have read that it feeds the bacteria but it would seem to me that it actually interferes with their well being as the side effects seem more like die off. The weird thing is that I have been taking glucosamine in capsule form for years 3x per day with very little side effect. I tried an experiment by taking the powder out of capsule and sprinkling the gluco on my morning oatmeal. The same stomach cramps and sick feeling occurred. So it appears that if I can bypass small intestine that glycosaminoglycans don’t bother me and still gets into my bloood stream. BTW, glucosamine has greatly helped my bad knees and can not say enough about the benefits thru the years. Please let me know if you have any ideas about my problem with gags. I have 2 1/2 quarts of beautifully gelled bone broth in my freezer that bums me out every time I see them. What a wonderful article! Do you think pressure cooking bones for 90 minutes produces an inferior quality bone broth? I make silky, gelled broth using the pressure cooker with a tablespoon of apple cider vinegar added to help with the extraction of minerals from the bone. I really hope not to ever have to go back to babysitting broth on a simmer for 24 hours! Thanks for your advice! Thanks for your response! I was wondering specifically if you knew if using a pressure cooker produces an inferior (less nutritious) broth than slow-simmering the bones. Thanks! I am not aware of any study comparing these two methods. – Are you using only bones or bones with meat? The second option is nicer but much more expensive (especially in Switzerland where I’am at the moment). – Can you cook it for some hours then switch it off for the night and cook it again on the next day? – You said to refrigerate it after cooking, so you are consuming it cold? The broth has to get cold before consuming you would say? I prefer bones with meat. The meat give you potassium. I never turn off the broth until it is done cooking. I refrigerate it after cooking in order to be able to scrape the fat off the top easier. I don’t consume the fat because it makes me nauseated. Then I re-heat it and drink it warm. I want to eat bone broth, but I have neuropathy and the glutamine in the broth causes really painful flares. Do you think its enough to just eat meat and skip the broth, or how else could I assist my tendons in repair (damaged). Most meat still has a fair amount connective tissue, like where the fat is attached to the lean or where the meat is attached to the bone. yes, shorter cooking times may help. What a great article, beautifully written and very informative. I come from low carb eating and just started zero carbs yesterday. I am making bone broth this morning to help if I have any transitional side effects, I used it to help when I transitioned to low carb/ keto and it worked well, though my side effects where mild and did not last long, I didn’t know bone broth had electrolytes, so I will also use it at work as i have a physical job and in summer we work in 40 plus degree heat. I grew up on a cattle station, and whenever we kids got sick.. my mum made bone broth, so I’m not new to bone broth but you have certainly educated me a lot more on the healing properties of it, I have joint pain I’m hoping will heal. Thank you very much for sharing your knowledge and bless you. It will supply potassium and other minerals as long as the bones have meat on them. The bones themselves don’t actually supply that many minerals believe it or not. So, whole chickens or turkey parts are excellent options or beef oxtail. You may need to add salt to taste though for extra sodium. Is it best to eat the marrow by itself raw or lightly cooked for better nutrient value? And leave the cartilage and tougher parts to simmer up as normal? Yes, that’s what i would do. Marrow it almost entirely fat and does not add anything to broth through long simmering.